Without operational fire pumps, you will not have adequate water pressure to help contain or extinguish fires. Fire pumps are an essential component of fighting fires. Without operational fire pumps, you will not have adequate water pressure to help contain or extinguish fires. This, in turn, can make it more difficult for your sprinkler system to extinguish a fire. 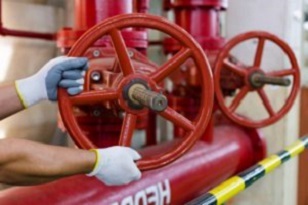 Here are four different types of fire pumps that are commonly found in commercial settings. The horizontal split case fire pump is the one that is most commonly found in most commercial buildings. Because it is so easy to use and to fix whenever a problem arises, many fire protection specialists prefer to work with this model. However, these fire pumps will need access to a water source outside the building, such as a fire hydrant. Another reason that these models are so popular is that they are incredibly durable and will not require frequent maintenance. It also will not fail when you need it most. The next type of fire pump is called the vertical split case. Unlike the horizontal split case fire pump, they do not need as much floor space. If you have a smaller commercial building, then this could be the solution that you have been looking for when it comes to fire pumps. Also, because of the pump’s vertical orientation, it is less prone to motor flooding, which can be another hazard to everyone in your building. Vertical in-line fire pumps are an even smaller model. If saving space is your primary concern, then these are the fire pumps for you. However, whenever maintenance is necessary, these pumps are more of a hassle to deal with; that is because they need to be disassembled before any service by fire protection experts can happen. Once the maintenance is completed, they will need to be carefully reassembled. The final type of fire pump that is commonly used is known as the vertical turbine. This type of fire pump can draw its water from wells or water tanks instead of needing a fire hydrant. It also does not need to be primed before it will start working. Water moves through the column and remains stored until it needs to be dispensed. Whether you need smoke detectors, fire extinguishers, or an automatic sprinkler system installed at your commercial property, Fireline has you covered. We have been protecting people and property from fire damage since 1947—and our experience shows in our excellent work! We are known for our excellent customer service, our expertise, and our reliability. For more information on how we can help your residential or commercial property, visit us online or give us a call at (800) 553-3405. We are located in Baltimore, MD, with a second office in Leesburg, VA. For more fire safety tips, be sure to follow us on Facebook, Twitter, and LinkedIn. This entry was posted on Friday, March 22nd, 2019 at 11:30 am. Both comments and pings are currently closed.